In a unique approach to inflammation research, a study by researchers at the University of California, San Diego (UCSD) School of Medicine shows that, in a model of rheumatoid arthritis, inflammation in the joints can be sensed and modulated by the central nervous system (CNS). The research suggests that the CNS can profoundly influence immune responses, and may even contribute to understanding so-called placebo effects and the role of stress in inflammatory diseases. The central nervous system is fully able to control many previously unanticipated physiologic responses, including immunity and inflammation,” said Gary S. Firestein, M.D., Professor of Medicine, Chief of the Division of Rheumatology, Allergy and Immunology, and Director of UCSD’s Clinical Investigation Institute. The UCSD research team found that blocking key signaling enzymes in the CNS of rats resulted in decreased joint inflammation and destruction. For many years, researchers have explored developing therapeutic targets by blocking the function of a signaling enzyme called p38 MAP kinase throughout the body. This enzyme regulates cytokines proteins released in response to stress that regulate inflammation in patients with arthritis. Not only were clinical signs of arthritis diminished in those rats where p38 inhibitors were administered into the spinal fluid, but damage to the joint was also markedly decreased. The same dose of the inhibitors administered systemically had no effect. Dr. Keith and Laurie Nemec’s comments on how the central nervous system regulates arthritis. This very interesting study showed that the central nervous system definitely affects the immune system in the inflammatory response in the whole body. This model was with rheumatoid arthritis but extends to all types of immune diseases, auto immune diseases, and inflammatory related diseases. Remember inflammation is the root of all disease, so if the central nervous system affects inflammation, then the central nervous system affects all diseases. It’s important to understand that your nervous system is the first system developed when you were in utero, developing inside your mother. It’s the nervous system itself controls all other systems. This study showed that the nervous system also controls the amount of inflammation that is made in the body. The interesting thing in this study, was that, they used to target the inflammation at the site of inflammation as in rheumatoid arthritis they would try to affect it in the joint itself, or they would try to affect it in the intestinal tract which is a bigger area but still highly related to rheumatoid arthritis, but in this study, they found that when they targeted the blocking of the enzymes in the nervous system, it decreased the inflammation throughout the whole body showing up in decrease of the signs of the rheumatoid arthritis. Interesting stated in this study was, they said that, not only were clinical signs of arthritis diminished in those rats that the P38 inhibitors were administered into the spinal fluid, but damage to the joint was also markedly decreased. Basically, it decreased the inflammation and the damage from the inflammation. The same dose of the inhibitors administered systemically had no effect, which means when they gave it just to the general body, it didn’t have an effect. But when they put it in the spinal fluid, which meant it went to the central nervous system and the entire nervous system, this caused decreased inflammation. This means that you need to balance your nervous system and the most important balancing of the nervous system comes from the thought processes. As it says, “as a man thinks in his heart, so is he”. So, we want to think with our heart and not with our mind and when we have things in our mind we want to make sure that they are not things that cause us to live in the future or the past, or things that stimulate fear or any other negative emotions, because this in turn will cause a stimulation of the nervous system in a negative way. Fear will be produced and cause a suppressing of the immune system, fear causes more inflammation. 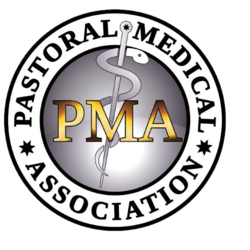 Whereas on the positive side, if we are thinking with our mind with what God has put into heart then we are walking in total inner peace, causing the least amount of inflammation production our body, and our immune system and our nervous system will be functioning at the highest level in our body, to maintain all systems of the body. So, very important for you to understand, that you have to follow your heart, not your mind. The heart is where God speaks; it is where the truth is put into you. The mind is where the world speaks. The world system of lies speaks to your mind. From the mind, the negative emotions of fear are elicited. So when you believe on lies, lies produce the negative emotion of fear. But when you believe on the truth in your heart that elicits the spiritual states of being of joy, peace and love, and these will produce total health in body, mind and spirit. So what can you do to decrease inflammation in your body? To balance the nervous system? To increase your immune system response? 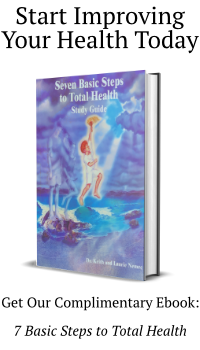 You can live the 7 Basic Steps to Total Health each and every day and get a deep revelation of them.